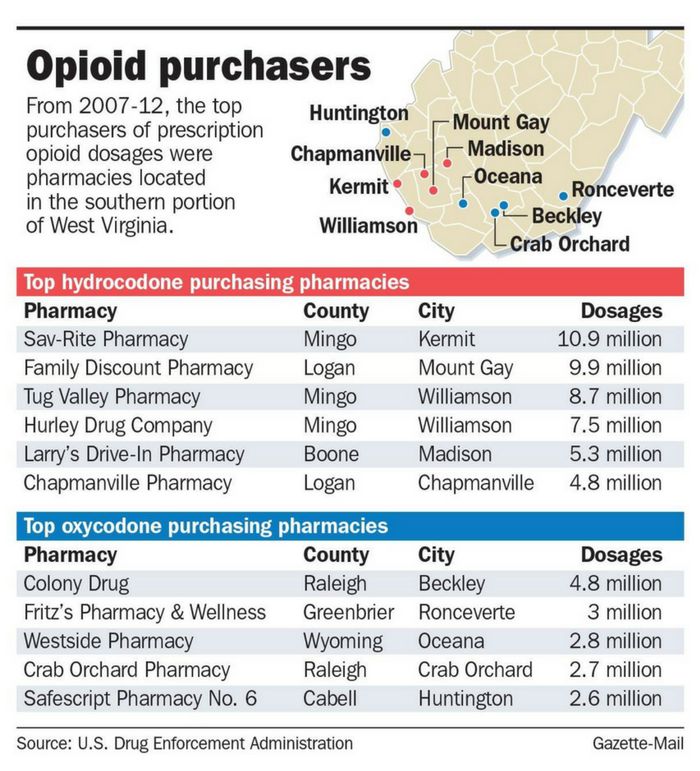 Between 1999 and 2015, prescriptions for opioids like OxyContin and Vicodin quadrupled. 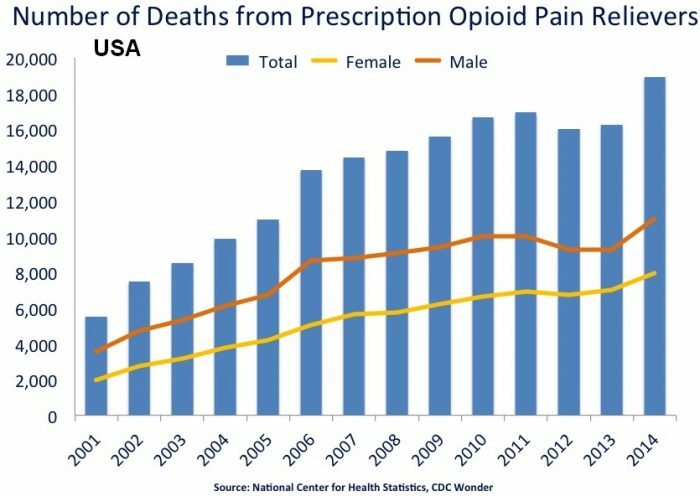 During that period, more than 183,000 deaths from prescription painkillers were reported in the United States. The single-paragraph letter stated that the Boston University researchers found “only four cases of reasonably well-documented addiction” in a review of 11,882 hospitalized patients treated with narcotics. Juurlink and his colleagues found the letter was forever etched in history without anyone ever questioning or challenging the finding that addiction was rare, and without noticing that the letter had nothing to do with opioids. The fact that the study involved narcotics – not opioids, and in a hospital setting – not a take-home prescription, was glossed over in journal citations. A review of medical literature revealed 608 separate mentions of the letter, the report states. Close to three out of four articles cited the letter as evidence that narcotic painkiller addiction is a rarity. This, Juurlink says, suggests that few of the researchers who cited the article ever actually read it. Let that sink in. A supposedly scientific paper that had no supporting evidence convinced the nation’s doctors that patients could take opioids for extended periods of time with no risk of addiction. Dr. Hershel Jick, a drug specialist at Boston University Medical Center, and a graduate student, agrees. With the utmost respect: are you people all certifiable? The reason we have a “heroin” problem in America today is because the United States Military started protecting the poppy fields in Afghanistan almost from the start in early 2002. And it is important to consider that the big bad “Taliban” who we were obstensibly there to fight had managed by the end of 2000 (according to the CIA fact book) to bring production down to a mere 80 tons. This action had effectively for all intense and purposes ENDED heroin use worldwide. As of 2016 production is well north of 12,000 tons and world wide use and addiction to heroin is grown literally exponentially. Burn down the poppy fields, kill the Drug lords and force the farmers to grow something else and 90% of the deaths (they are almost entirely “heroin” related as opposed to “opiate” related) comes to a screeching halt almost overnight. Considering we have literally turned entire cities and towns to rubble we can hardly object to killing a few drug lords and forcing a relatively small number of farmers to grow other crops. Particularly when you contrast that to the hundreds of billions of dollars wasted and millions of lives hurt by heroin. This could be accomplished in a matter of weeks for a nominal amount of money and man power……. 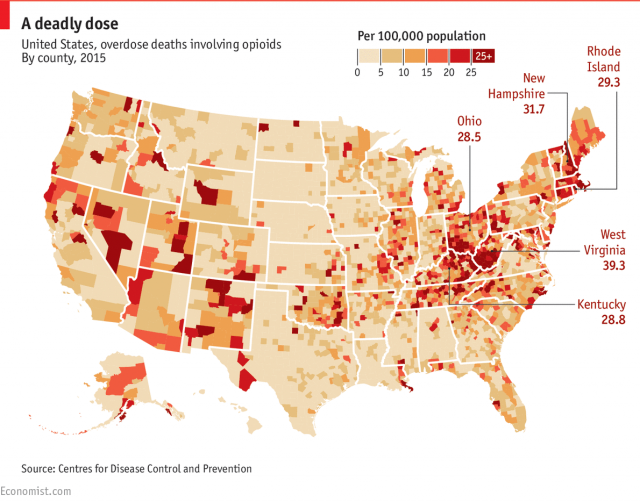 The opioid crisis wasn’t caused by one single thing. I don’t even know how to respond to this, since your question about us being “certifiable” makes no sense, and you can’t seem to grasp that the crisis is a culmination of a number of things. Thanks for your thought-evoking post. Other factors include (as the article noted) the foolishly widespread citation of a foolish letter. Add to this the pharmaceutical industry’s lobbying (bribing) of physicians and its direct marketing to the pubic via the media. This caused over-prescription. Then, after ‘widespread panic,’ prescription was cut back, needlessly in some cases (people with chronic pain or PTSD, e.g. ), making people go to the street for their substitute painkiller – which was often heroin, which caused addiction. Add to this the ‘necessity’ of distracting the peace movement (as was done in the 1960s with LSD). Add to this the despair of jobless people with suppressed voting rights, a two-tiered (rich/poor) ‘justice’ system, and a perceived future of nothing but poverty and endless war. And, of course, add in the Greed Factor of those who drug-profiteer and war-profiteer. Why does our military protect poppy fields? The CIA, NED, USAID, et al. need drug money to launder for ‘covert’ operations – such as the attempted overthrow of Venezuela’s elected government (and others); this has been ongoing long-term, even before our invasion of Afghanistan. As to killing drug lords, burning poppy fields, and forcing farmers to grow something else, I don’t agree. 1) Killing causes more killing. 2) Heroin would be an excellent drug if legalized and if patients and doctors were educated about it. Unfortunately, as with marijuana, there’s always someone ‘in power’ who fears that somewhere, somehow, someone may feel Good while being Helped. 3) Farmers could legally grow the crop and profit without fear of punishment.